What is the Sergeant Bluff Community Action Team? The Sergeant Bluff Community Action Team is a group of community minded citizens and friends of the community who work together to make our Sergeant Bluff a better place to live. The Community Action team meets once a month, on the last Tuesday at noon at the Sergeant Bluff Community Center. New members are always welcome! The Action Team is responsible for planning the annual Pioneer Valley Days events, held the second weekend in August. Additionally, the Action Team plans the annual Winter Festival, held at the Sergeant Bluff Community Center on the first Sunday of December. The word ACTION stands for Area Coordination In Our Neighborhood. This concept originated within the Woodbury County and currently there are 4 teams in Sioux City as well as ours, in Sergeant Bluff. The vision is to empower neighborhoods within the community through partnership of public and private agencies, resources, and residents to enhance the public safety, educational opportunities and social welfare of children and their families. The mission of the Sergeant Bluff Action team is to work together within the current systems to communicate/coordinate services for individuals/families that are both efficient and effective. To improve and enhance the quality of living in our community, as well as providing leadership on such projects. Currently the Sergeant Bluff ACTION team has representation from the School District, City Council, Park and Recreation, City Maintenance, Police Department, Local Churches, Local Businesses and most importantly residents of Sergeant Bluff who have knowledge and expertise from a variety of professional backgrounds. Some of the projects that we have been involved with in the past include putting in place the crosswalks, stop signs and sidewalks near and around the Recreation Facility, coordinating efforts to design a walking trail for kids that cross Hwy 75, participating in the mock drill for the Sergeant Bluff Fire Department, planning and coordinating the annual Pioneer Valley Days events and the annual Winter Festival and contributing to the Sergeant Bluff City Sign project. 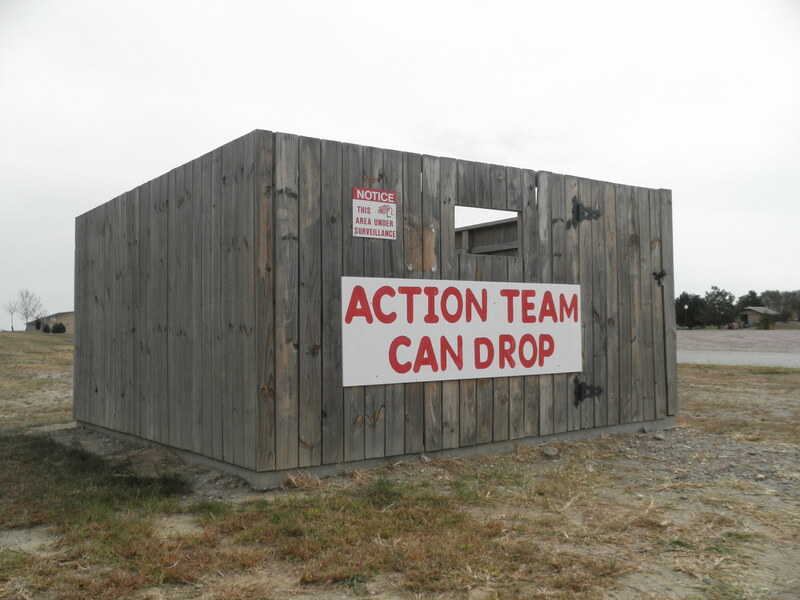 The Sergeant Bluff Community Action Team has a "Can Drop" located in the Sergeant Bluff Recreation Complex. It's a place where people in the community are able to donate their own cans and plastic bottles. The donated cans and bottles are then cashed in for their deposit money; and that money goes back to the community through the events the Community Action Team puts together. Events such as the annual Pioneer Valley Days, the annual Winter Festival, select Sergeant Bluff-Luton School activities and other community involvement activities. We accept all name brand soda and beer cans, as well as name brand 20oz, 1 Liter and 2 Liter soda bottles. The Community Action Team is always looking for ways to partner with community schools, organizations and businesses. If there is a group in the community that is interested in helping organize our "Can Drop", we will offer them 50% of the total can deposit that they are responsible for helping with. Any questions regarding this fundraising activity, please call 712-943-5800.